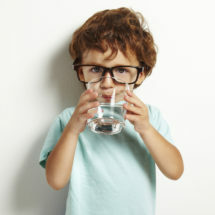 When it comes to water purification appliances for the home, wall-mounted or tabletop water purifiers are quite common. 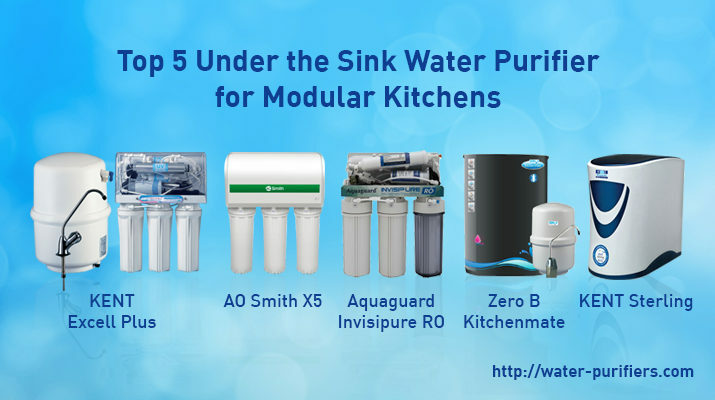 Though these water purifiers are ideal for Indian kitchens, wall-mounted water purifiers are not a perfect match for modular kitchens. Lack of space in modular kitchens, as well as its modern design, are some of the reasons why homeowners look for some space saving yet stylish alternatives. This is where under sink water purifier can be of great help. However, the number of alternatives available in the market may make it difficult to choose the right alternative. 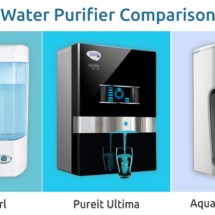 To help you out, we list top 5 under sink water purifier that you can choose from depending on your budget and preference. Before we list the available alternatives, here are some of the advantages of installing under sink water purifier. Read on. If you are wondering what makes under sink water purifier different, we are here to help. Here are some of the advantages of installing under the sink water purifier. Wall-mounted water purifiers generally have a very low water output rate. 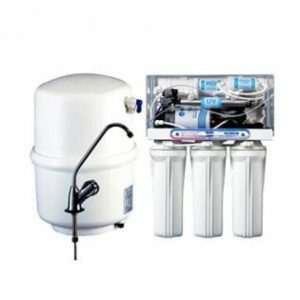 Under sink RO water purifiers use a hydrostatic air pressure bladder tank to store water. The optimal pressure of the tanks provides a better flow rate compared to wall-mounted purifiers. This is another reason homeowners prefer under sink RO water purifier. As most of the homes have a modular kitchen, there may not be enough space to install a wall-mounted purifier. As the name suggests, under sink RO water purifiers can be installed in the space below the sink making it convenient to use without consuming space. Under sink water purifiers keep your kitchen dry and clean by avoiding spillage. As the water purifiers are attached to the taps fitted on the sinks, you don’t need to bother about water spillage. Here’s a list of the best under the sink water purifiers available in India. Read on. 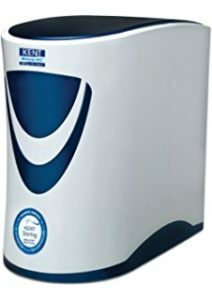 KENT, a renowned water purifier brand in India, tops the list when it comes to choosing the best under sink water purifier. KENT Excell Plus is an advanced water purifier that uses multi-stage purification of RO+UV+UF to remove contaminants and make water 100% safe for consumption. The TDS Controller adjusts the level of TDS to make water suitable for consumption. 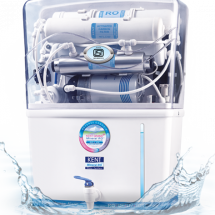 The water purifier also comes with an optional 7 liters hydrostatic tank for the convenience of the customers. The water purifier can also be attached to water coolers and refrigerator for the convenience of users. 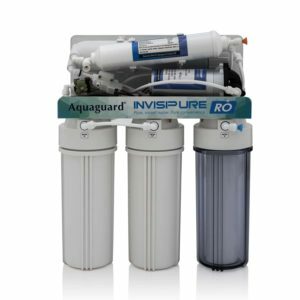 Aquaguard Invisipure under the sink RO purifier comes with a unique space saving design. Similar to KENT Excell Plus, Aquagurad Invisipure can be concealed under the sink to maintain the look of your kitchen. The water purifier also has a storage capacity of 12 liters so that you can install it in areas where the requirement for water is more. The water purifier has an automatic operation for the convenience of customers. The automatic shut off valve of Aquaguard under sink water purifier stops when the storage tank is full to avoid wastage. Next on the list of the best under sink water purifiers is AO Smith X5. 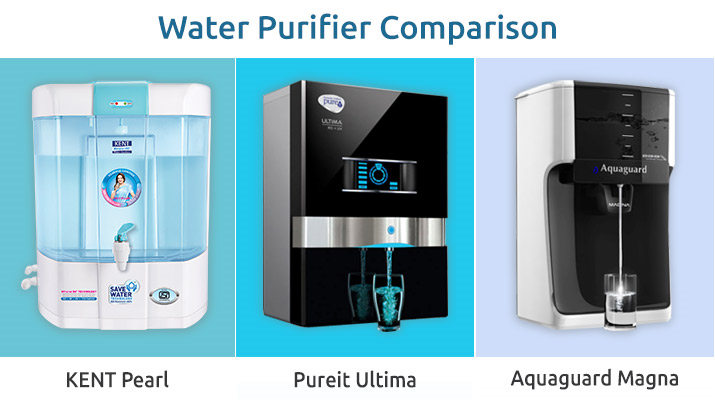 The water purifier uses a 5 stage purification process to make water completely safe for consumption. 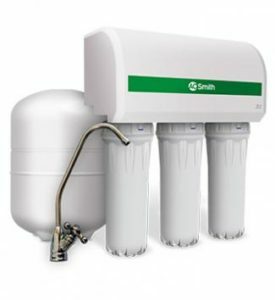 The under the sink water purifier from AO Smith is ideal for removing suspended sediments and solids with the help of advanced pre-filter and sediment filters. 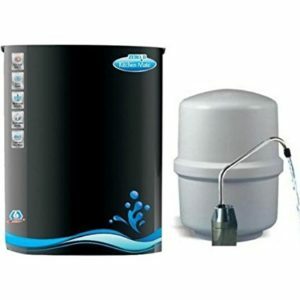 The water purifier also has a storage capacity of 7.5 liters for the convenience of the users. The purifier is suitable for water with low TDS level and also wastes less water, thereby improving water recovery. An ideal water purifier, ZeroB under sink water purifier provides safe water without interfering with the interiors of the kitchen. The water purifier uses 7 stage purification process to remove all the impurities and make water safe for consumption. The water purifier also comes with a patented ESS technology to sanitize the purifier against germs and slime. ZeroB under sink water purifier also comes with TDS and heavy metal remover which removes bacteria, viruses, pesticides and harmful chemicals. The water purifier, however, doesn’t come with UV and UF purification process. Last on the list is KENT Sterling, an under the sink water purifier with Mineral ROTM technology. The water purifier uses multi-stage purification process of RO+UF to remove impurities and make water safe for consumption. The under sink water purifier from KENT comes with 6 liters in-built hydrostatic storage tank for the convenience of customers. The automatic operation of the water purifier ensures that it automatically shuts off when the storage tank is full. The water purifier is ideal for under the sink installation as well as side by side placement with refrigerator. Those were the top 5 under sink water purifiers available on the market. If you are planning to buy an under the sink purifier, you can compare the features, prices, and specifications and choose a product that best meets your needs. Make sure that you also check the maintenance cost and quality of after sales services to avoid any problems in future.